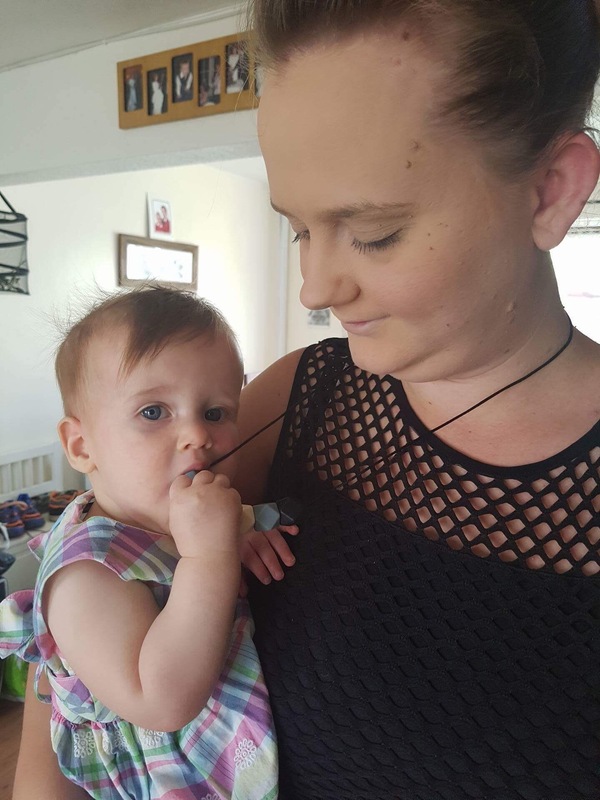 Heard of a teething necklace, No? Neither had I! So with every baby you have a list of what you need to buy, what you would like to buy and also the list of what everyone else thinks you should or shouldn’t have. None of my children have had problems with teething, I had teething gels but they never really got used. They never cried, they never went off their food, teething just didn’t bother them. So when making my list of items I would need at the baby show when I was pregnant I didn’t even bother to check the teething products, why would I, I don’t need a discount on a product I’m not even going to use. Well how wrong could I be. BBG teethed, infact I swear she’s been teething half her life! Her cheeks turn red, she gets spots, she goes off her food, she has a terrible time teething. 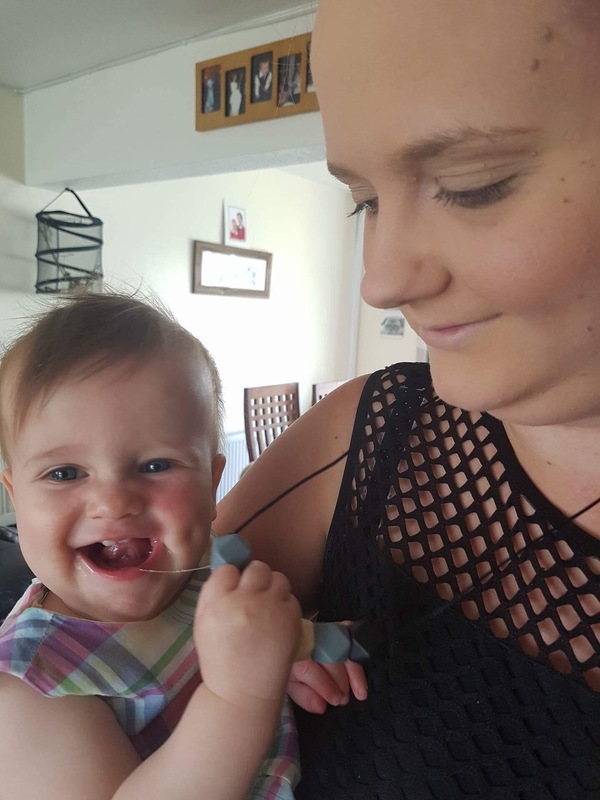 We found a brilliant teether which I have reviewed before by Fisher Price. This is brilliant however, I have lost count of the amount of times I have been hit round the face by it or left it at home. That teether is perfect but I decided to look into a second teether. I found Lara & Ollie on Instagram. 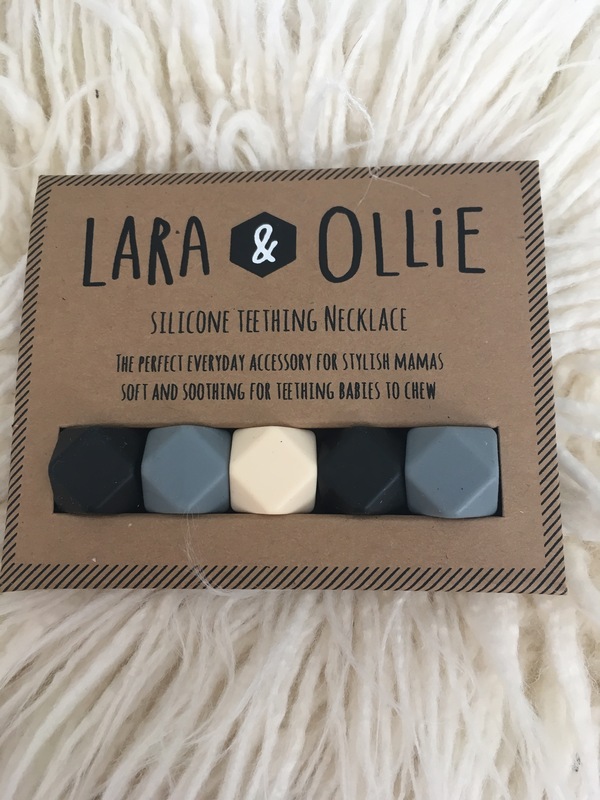 Lara & Ollie design stylish teething safe jewellery, a range of bangles and necklaces. Knowing how much BBG loved pulling and chewing on my necklace I thought I would give it a try. I ordered the monochrome necklace and waited for it to arrive. I put it on and went to get BBG ready for the day. Within 10 seconds the necklace was in her mouth and being chewed. 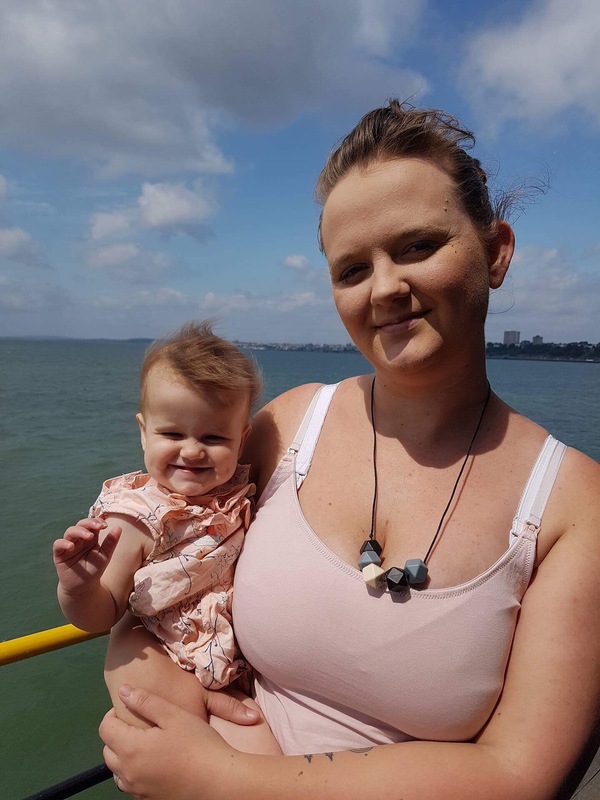 Since then whenever we go out with baby girl I have made sure I have my teething necklace on. She still uses her teether toy but this is perfect for when she is being held. I have had so many people ask where I have got the necklace and what I a wonderful idea it is and they are 100% right. The only down side I have found is it does pick up dust, however I always carry around Milton steriliser wipes anyway and so now wipe the necklace with this before picking up my girl just to make sure it’s good to go. This however is the slightest negativity and to be honest that’s more me being a little OCD when it comes to what goes into my daughters mouth. I thought after BBG had used it I would have a really wet, slobbery patch on my chest where she had dribbled all over it but surprisingly I may get a slight damp patch but it really is slight. I was very pleasantly surprised! As a secondary use, MO with his ASD likes to chew and he really likes the feel of this. It got me thinking about all the autistic chew necklaces out there. Although autism is nothing to be ashamed of, if you wanted a more subtle chew necklace or bangle, maybe for work or school etc, then this would be perfect as it really is just like any other necklace and comes in a range of colours.